The ¾ acre property is home to a well-preserved enclave of six “Old Florida” style cottages–surrounded by lush tropical gardens, and located directly on the fine, white sandy beaches of the Gulf of Mexico. 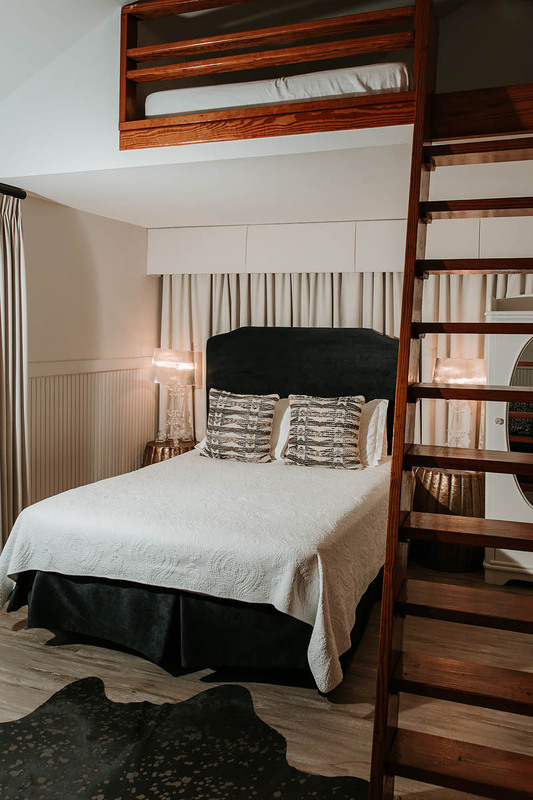 Situated in the heart of the coastal village of Indian Rocks Beach–Sarah’s Seaside presents a luxury cottage collection that feels personal and exceptional. Each of the six historic well-appointed beach cottages house a unique charm–leaving guests imbued with a true sense of place and calm. Here we aim to provide the most private beach experience. Built in 1910, this magnificently restored seaside cottage offers unobstructed panoramic views of the Gulf of Mexico. A large private deck steps down to a pressed shell tile-paved private grilling patio. The rambling beach house features a master suite with ten foot ceilings and French doors that open to a private reading room–drenched in natural light from the wrap-around windows. Master has king with spectacular beach views. The second bedroom has two queen-sized beds. Third bedroom also features a queen-sized bed. 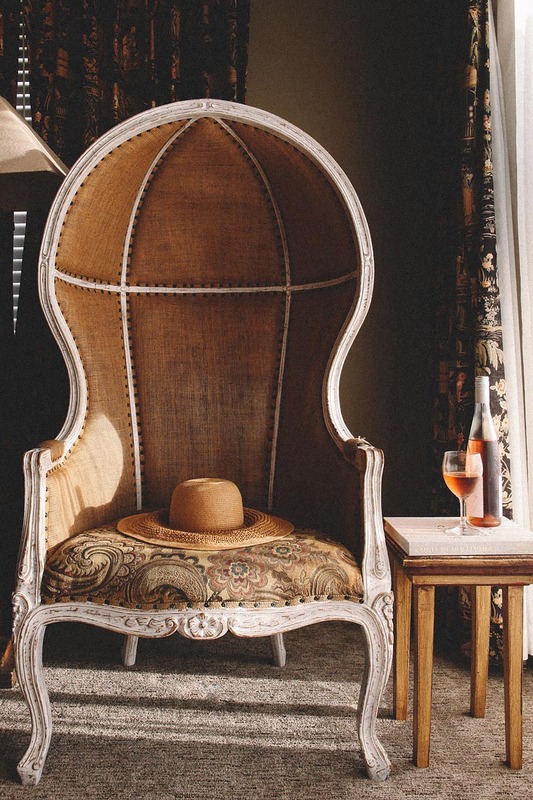 Vintage-inspired drapes, solar shades, custom furnishings, and original local art throughout. The Cook’s Cottage was built in the 1940’s as a small Chef’s house–meant to service the larger ‘Governor’s’ home. This magnificently restored seaside cottage is the epitome of coastal chic. The living room is outfitted with ten-foot ceilings and anchored by an original quarried fossil wall with a built-in fireplace. The private cottage features two bedrooms and two en suite baths. The master bedroom is furnished with a King-sized bed and the second bedroom with a Queen-sized bed and adjacent Twin-sized trundle bed. Decorated with generous custom-upholstered pieces ensuring maximum comfort along with unobstructed views of a private beach. An oversized deck steps down to a private sunning patio with custom chaise lounges. Brimming with historic character, this charming ground level studio-cottage has a bright contemporary feel–coupled with a generous private terrace. The cottage was originally built in the 1920’s to serve as the carriage house for the Gulf-front cottage. Hardwood floors blend with a contemporary custom King-sized bed and mosaic tilework to give this studio cottage an eclectic vibe. A spectacular beach view awaits you in this two bedroom, one bath, upstairs suite. A large covered outdoor space gives you a sense of sitting in a beach garden. The twelve by fourteen foot covered outdoor space is outfitted with chaise lounges, a dining table and chairs. King-sized bed in master bedroom and two Twin-sized beds in the second bedroom. A custom eat-in kitchen leads to the private oversized balcony. This beach-level suite is outfitted with an oversized outdoor covered patio that makes for a breezy extension of the living room space. The Hyde Park Bungalow suite is nestled in the garden across from the pool and steps from the beach. This large one bedroom, one bath suite has two King-sized beds. Built in the 1920’s, this historic upstairs suite’s interior is airy, light-filled, with high ceilings and a lovely view of the pool, gardens and Gulf of Mexico. This three-bedroom Suite was once the beach home of Fuller Warren, the 30th Governor of Florida. It features a master bedroom with a King-sized bed, two Twin-sized beds in the second bedroom and a Queen-sized bed in the third bedroom. A banquette with wrap-around bench seating adds a nostalgic charm to the kitchen that features large banks of windows with a beach and garden view to enjoy your morning coffee. Governor’s Main House is the ground floor suite that was once the beach home of Fuller Warren, the 30th Governor of Florida. Built in the 1920’s this historic “Old Florida” style beach level suite’s interior is timeless, stylish and glamorous. Two separate seating areas offer maximum dining flexibility. This charming space boasts three spacious bedrooms and two full baths. For bedrooms there is a King-bed master suite, two Twin-beds in second and a Queen-sized bed in the third bedroom. Outside, there’s a large shaded deck overlooking the pool, gardens and beach, with a private grill space just adjacent. With its dramatic vaulted ceilings and secluded garden setting, the Loft is perfect for a couple seeking the intimacy of a separate cottage. The private patio is ideal for grilling out or dining al fresco. It offers a plush Queen-sized bed downstairs and Full-sized bed in the raised sleeping loft. This bright and sunny cottage is just steps from our private white sandy beaches.